To meet the challenges ahead, you need the strength of a criminal defense firm with a track record of success. Whether or not you are guilty, you have rights, but if you speak to the government without the right lawyer, you are in danger of losing these rights. Level the playing field by contacting Varghese & Associates today. Our New York criminal defense team, led by a successful former prosecutor, will get to work immediately, protecting you and preserving your freedom. At our Manhattan criminal defense firm, we practice only criminal law. That's the kind of firm you want when your future is on the line. We dedicate ourselves to protecting and defending our clients in federal and New York state courts as well as in private matters such as internal investigations. We've secured dozens of dismissals, favorable plea bargains, and settlements. We've recovered seized property, and when involved early enough, we have even prevented arrests. Our successes have been highlighted in The Wall Street Journal and The New York Times. We pave the way for clients to resume their lives. See how we can help you. Attorney Varghese received the prestigious Martindale-Hubbell AV Preeminent rating by his peers. This award is based on confidential reviews by other attorneys familiar with Mr. Varghese's work who rate lawyers on their legal ability and their adherence to ethical behavior. 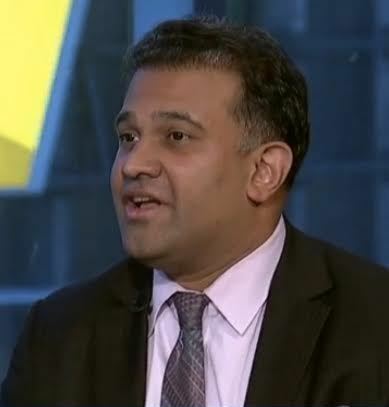 Vinoo Varghese is also a New York Metro Super Lawyer, a prior honoree of the New York Law Journal Rising Stars, and has been on The National Trial Lawyers' Top 100 list three years in a row. In 2006, after six years as a prosecutor, he founded Varghese & Associates, P.C. The firm represents individuals and companies in all criminal cases, including white-collar crimes, state felonies and misdemeanors, appeals, internal corporate investigations, and asset-forfeiture matters. In May 2015, in the Second Circuit against the IRS & DOJ Criminal Tax Division, Varghese obtained a rarely granted retrial for a client previously convicted of tax fraud. In November 2015 at the retrial, Varghese secured a complete acquittal for the same client. Other notable white-collar representations have included Rengan Rajaratnam, hedge-fund trader, and Dan Halloran, New York City councilman. He has been quoted in The Wall Street Journal, The New York Times, the New York Law Journal, Law360, and interviewed on NY1 among other major media. In 2013, the National Association of Criminal Defense Lawyers (NACDL) heralded Varghese as a courageous attorney for his stalwart defense of clients, the federal and state constitutions, and the criminal defense bar at large. Demonstrating his experience with internal corporate investigations and the Foreign Corrupt Practices Act (FCPA), he has given presentations for Thomson-Reuters and for the Association of Certified Fraud Examiners, New York Chapter. He has spoken on White Collar Crime for the New York Law Journal and various bar associations. Committed to nurturing legal talent, Mr. Varghese has used his extensive trial and appellate experience to help prepare lawyers and students for the challenges of a legal career by teaching. His efforts have included giving instruction at a trial advocacy program for the New York City Law Department and the Benjamin N. Cardozo School of Law at Yeshiva University as well as Brooklyn Law School's Business Boot Camp. He has also taught clinical students from Brooklyn Law School and Hofstra School of Law. Always seeking to stay abreast of developments in criminal defense strategy, Mr. Varghese actively participates in NACDL conferences. He is very involved with several other professional organizations, including the Association of the Bar of the City of New York, the New York County Lawyers' Association, the Queens County and Brooklyn Bar Associations, the National Asian Pacific American Bar Association, the Asian American Bar Association of New York, and the South Asian Bar Association of North America. In 2000, Mr. Varghese began his legal career with the Brooklyn District Attorney's Office where out of 500 ADAs, he was the only trial prosecutor to handle his own appeals. There, the District Attorney in 2005 promoted him to the rank of Senior Assistant District Attorney and appointed him to run a specialized unit, the Assault on Police Officers Program, where he was the lead prosecutor on attempted murder cases of NYPD officers. 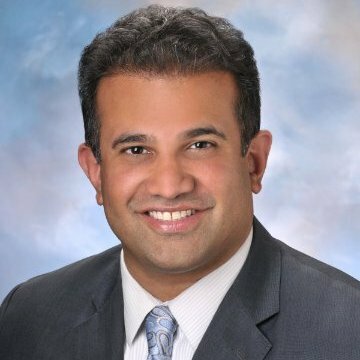 Mr. Varghese graduated from Brooklyn Law School, New York University, and Chaminade High School.